Senior Resource Group (SRG), an innovator in the retirement industry with senior living communities across the United States – including its newest development in Austin, Maravilla at The Domain – today stressed the importance of living well through health and wellness, and discussed some ways summer heat can impact mature adults. ‒ Hydrate before, during and after exercising; do not wait until you feel thirsty. ‒ Avoid sugary sodas and juices, which slow the passage of water from the digestive system into the bloodstream. ‒ Do not rely on caffeinated beverages and alcohol for fluid, as they may cause or augment dehydration. ‒ Cool air is the best way to beat the heat, but fans work only up to a point. If you have no air conditioner, spend time in an air-conditioned movie theater, store or friend’s home. Take a cool shower or use ice packs on the skin. ‒ Eat light, small meals. Cold soups, salads and fruits satisfy hunger and provide extra fluid. ‒ Exercise early in the morning or in the evening; avoid the midday heat. ‒ Always wear high-SPF sunscreen and remember to reapply. ‒ Wear bright-colored, loose-fitting clothing. ‒ Stay in the shade as much as possible. ‒ If you feel nauseous, dizzy or bad in any way, stop exercising immediately. 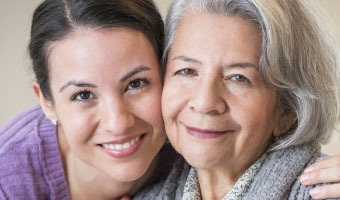 Senior Resource Group communities offer a series of activities and events specifically focused on summer safety, ranging from treating bug bites, to protecting against skin cancer, to detecting and preventing heat stroke. Staff members strongly emphasize hydration to help keep energy high and protect against heat stroke. They position hydration stations throughout each community, take water coolers on field trips and encourage residents to drink a glass of water every hour on dangerously hot days. Like most SRG communities, Maravilla at The Domain will offer indoor, air-conditioned walking clubs and group fitness classes, indoor yoga and water aerobics classes. When appropriate, Maravilla’s expert fitness staff customizes health and wellness programs to fit the needs of residents. For instance, an older adult’s body may cope with heat less efficiently than when they were younger, particularly if they have a damaged or weakened heart. The SRG staff also can take a resident’s prescription regimen into account when planning their activities. 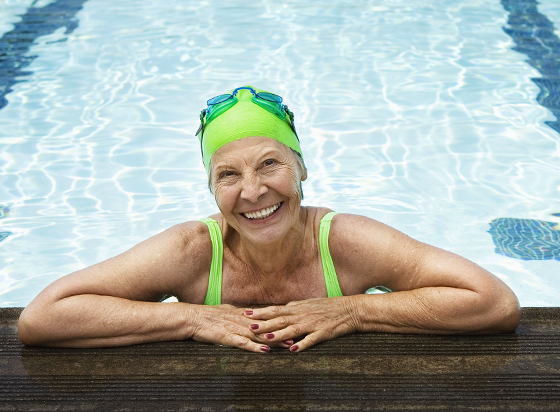 A number of medications commonly taken by seniors may limit the body’s ability to get rid of excess heat. These medicines can include beta blockers, which slow the heartbeat; diuretics (water pills), which may amplify dehydration by increasing urine output; and some antidepressants and antihistamines, which may inhibit perspiration. Stroke, Parkinson’s disease, Alzheimer’s disease, diabetes or other conditions may also limit the brain’s response to dehydration. Through ongoing in-services, SRG communities educate staff members on the warning signs of heat stroke, heat cramps (painful muscle spasms usually triggered by heavy exercise in a hot environment) and heat exhaustion. These signs may include weakness and fatigue; nausea or vomiting; profuse sweating; flushed, clammy skin; headache; disorientation/confusion; and muscle cramps. Heat stroke, she explained, is a true medical emergency. It begins with the symptoms of heat exhaustion, but they are more severe and progress more quickly. Lethargy, weakness and confusion rapidly become delirium, stupor, coma and seizure. Body temperature rises dramatically, often exceeding 105 degrees. Heat stroke is a killer because it damages the heart, liver, kidneys, brain and blood-clotting system. Survival depends on prompt transfer to a hospital for aggressive treatment. Senior Resource Group is expanding its operations into Austin for its 33rd community, Maravilla at The Domain. Located at 11001 Austin Lane in the heart of The Domain’s residential area, Maravilla will be an elegant, state-of-the-art, continuum-of-care senior living campus for residents age 62 and older. Capitalizing on The Domain’s live-work-play environment, the 370,000 square-foot development will offer 230 residences – a mix of 142 independent living, 54 assisted living and 34 memory care residences, and associated services and amenities, including access to an on-site rehabilitation center. The multi-level community will be comprised of an 11-story South Tower, six- and seven-story Central and North Towers, subterranean parking, courtyards and a swimming pool.